COLON, PANAMA — A protest over infrastructure and insecurity turned into violent clashes with police Tuesday in Panama’s second biggest city, which is home to a strategic port at the northern end of the Panama Canal. Residents stand next to a barricade on fire as they call for a strike during a protest against unfinished public works in Colon, Panama, March 13, 2018. Preliminary reports from national police said four officers were injured and 18 people were arrested for looting, vandalism and attacks on police. There was no information on civilian injuries. Demonstrators are angry over what they see as the slow pace of a project to revitalize Colon’s collapsed sewer system, deficient water supply and crumbling housing. Ditches left open for protracted periods have regularly filled with dirty water and flooded streets, giving off a foul stench and making life more unpleasant in an already dilapidated city. 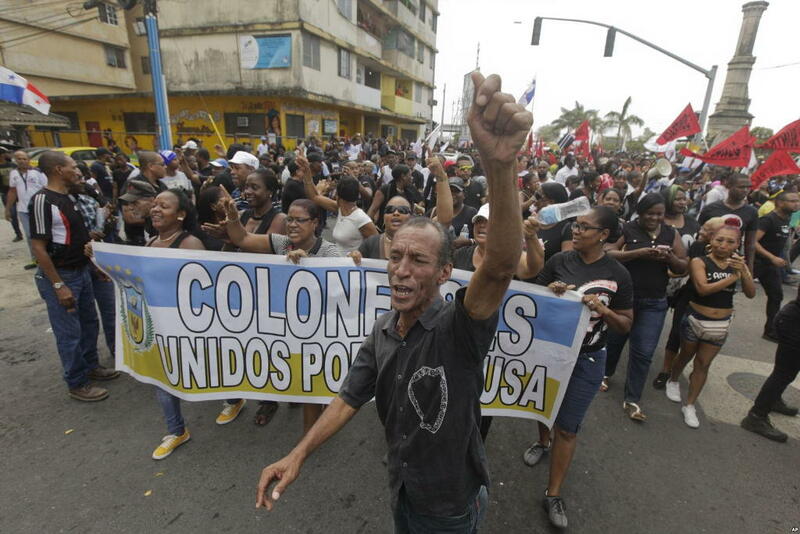 Demonstrators shouting slogans hold a banner with a message that reads in Spanish: “Colon united for the cause” in Colon, Panama, March 13, 2018. A march called by a social and labor movement ended without incident in the city center. 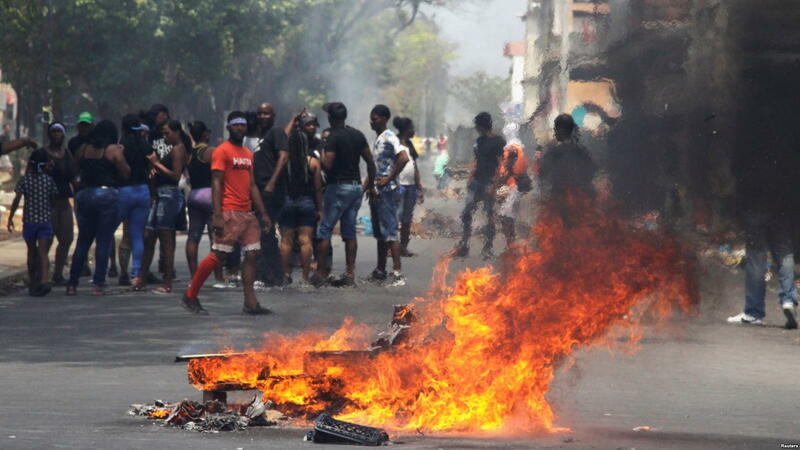 Protest leader Edgardo Voitier called on supporters to return to the streets Wednesday and announced that a general strike in Colon province would continue for another 24 hours. But splinter groups of protesters broke off and threw rocks at police, set at least one patrol car aflame, burned tires and wooden pallets, and looted some businesses. Riot officers responded with tear gas. Public transportation was paralyzed and stores were shuttered, though activity was normal at the canal, port facilities and the Colon Free Trade Zone. Government public works official Jorge Gonzalez asked Colon residents to be patient and said the revitalization project is more than 50 percent complete. 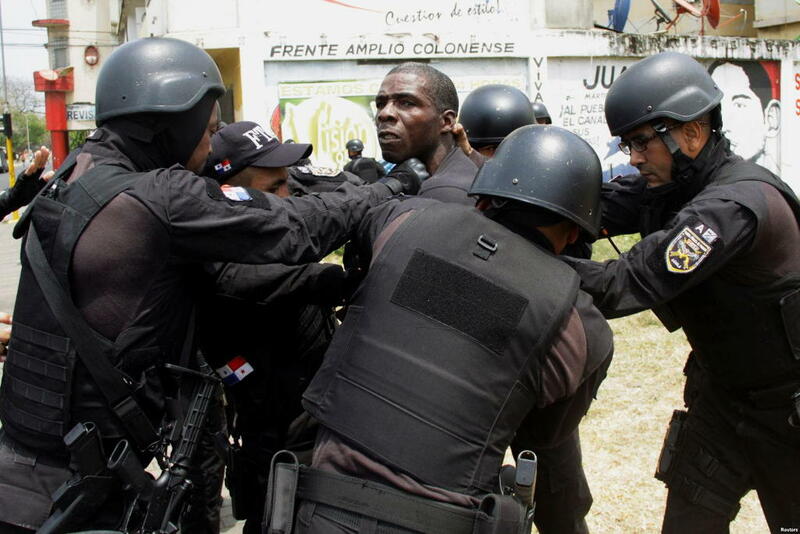 A man is detained by police as he takes part in a protest against the unfinished public works in Colon, Panama, March 13, 2018. “We are not applying makeup. 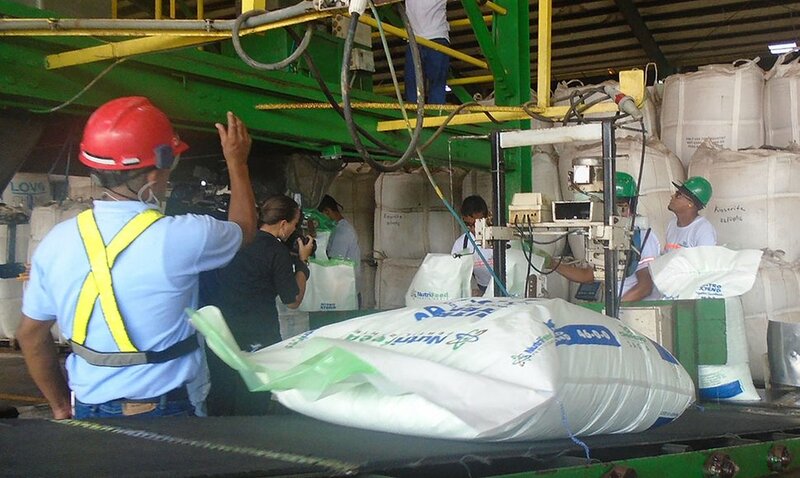 We are rebuilding,” Gonzalez said. Despite being a key commercial port, Colon has seen decades of neglect from a succession of governments in Panama City, leading to a protracted decline in the quality of infrastructure. President Juan Carlos Varela, who visited Colon after taking office in 2014 and promised people there a turnaround, has said his government is spending more than $1.2 billion on public and social works in the city. 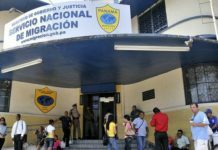 Protesters also demanded more attention be paid to combating crime in the province, which has one of the highest homicide rates in Panama. 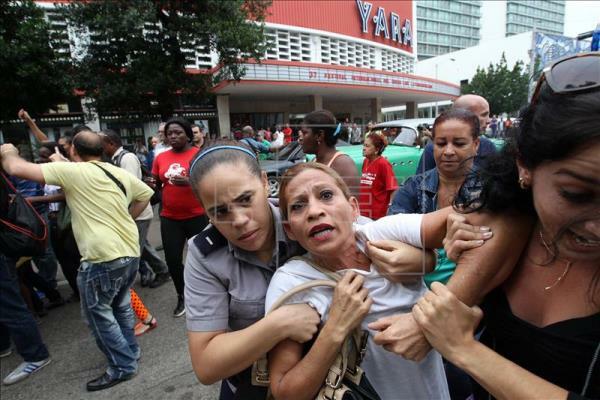 Tuesday’s protests were the most serious in Colon since violent demonstrations in 2012 against an initiative to sell off property in the free trade zone. Previous articleGoogle Brings Free WiFi to Mexico, First Stop in Latin America?